CPR is easy to learn. 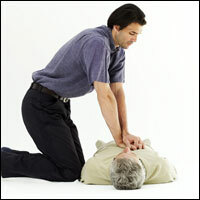 CPR of Austin teaches CPR in small steps so that you can easily understand the information. Whether you are new or are experienced, we design the class to meet your needs. Our First Aid & CPR classes are among the lowest in the Austin TX area. Not only is the price important, but also time involved in each CPR class. We focus on keeping each CPR class as small as possible to give you the student, our customer, individual attention so that you can learn the content easily. CPR classes are available in the morning, afternoon, evening, and weekend in North Austin and South Austin. 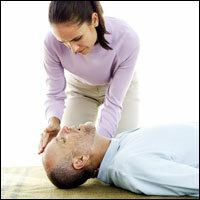 We have First Aid and CPR classes in Round Rock TX, but only during the week days. A CPR class can be held at your home or office if you can meet our minimum fee. We serve Austin TX, Round Rock, Pflugerville, Georgetown, Hutto, Cedar Park, Leander, Lakeway, Bastrop. All of our CPR certifications are valid for 2 years. Since 2004, we have been certifying many students in CPR in the Austin area. Book a First Aid or CPR class with us today!